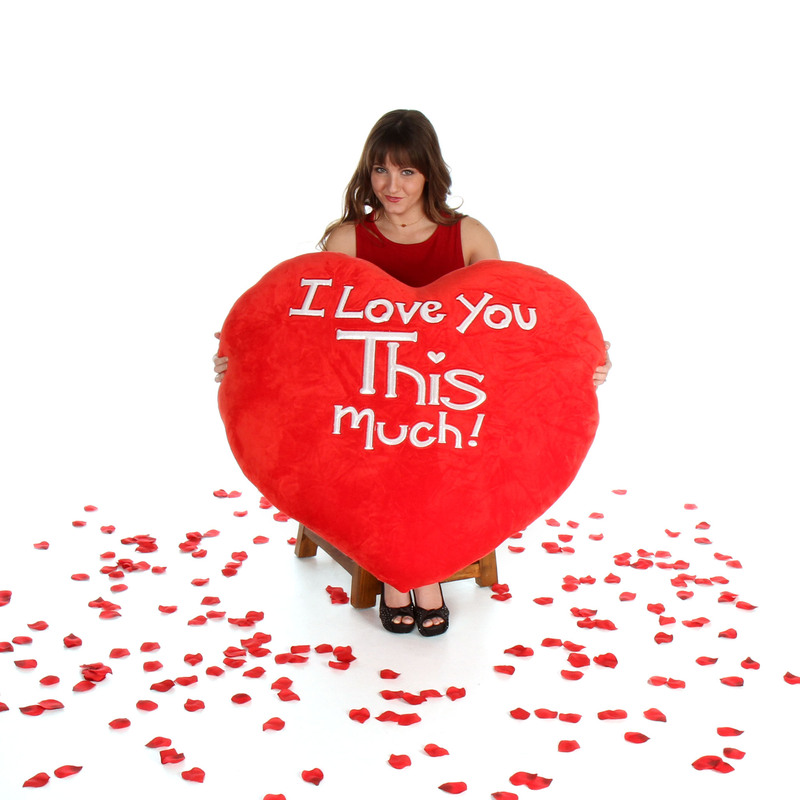 Your love is bigger than life… and so is this enormous red heart pillow with ‘I Love You This Much’ embroidered on the front! This is one of the most unique gifts you’ll find anywhere to make a huge impression on the person who holds your heart, and it is perfect for Valentine’s Day or anytime you want to send some really big love. • Big enough for a body pillow! Note: This special huge heart pillow does not come with a bear included. Size is measured diagonally. Don’t forget the greeting card! Type up to 70 words in the “Card Message” box and we’ll print it inside one of our custom Giant Teddy full size greeting cards and tuck it in the box with your giant heart pillow. How BIG is this Giant Teddy item? This is a huge, red, heart-shaped pillow and measures 32" (inches) diagonally.